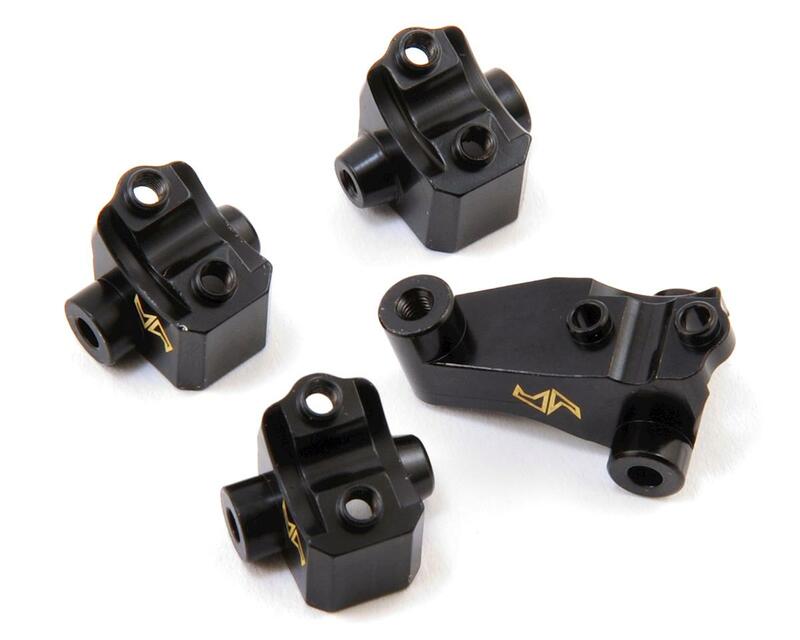 The Samix Traxxas TRX-4 Brass Lower Shock/Link Mount Set is a precision machined link mount option that adds 45 grams of unsprung weight to the axles of your TRX-4, for improved CG and overall performance. Unlike other brass parts, these feature a stealthy black finish, with laser etched logos that give the parts a scale look with a touch of bling. The front left mount didn't have any threads. Needless to say I am pretty disappointed. 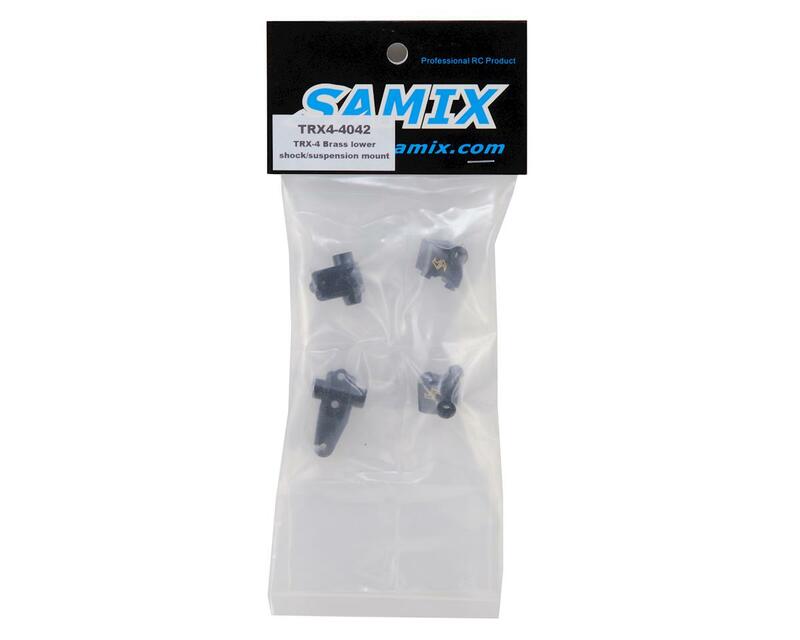 Update: I contacted Samix and they made it right and had a new set sent out the next day. Would definitely purchase their products again.